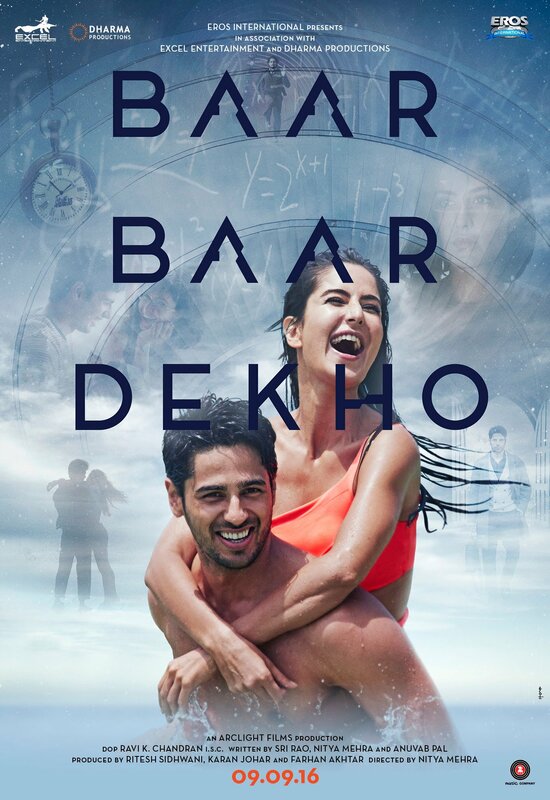 Synopsis: Baar Baar Dekho, is a high concept love story, about a couple that is about to embark on the journey of marriage. It is a comedic tale that plays itself out as a crazy roller coaster ride. A week before his wedding, Jai Varma is exposed to pre-wedding jitters, his friends’ failed marriage and a wedding house that concentrates on every ritual, celebration and laddoos known to man. He finds himself torn between the two major loves in his life- his profession and Dia, his wonderful fiancée. Jai wakes up the next day and finds himself on his honeymoon. The problem here being that he has no recollection of having gone through with the wedding. Thus begins a bittersweet, miraculous journey through time where he is able to get a glimpse into what his future looks like and what it means to be married. As he travels through time, Jai is introduced to key moments in any man’s life. He finds himself in a country away from India, one that he had dreamed of living in. He always thought that once Dia and him got together, they would continue to be by each other no matter what. Through this journey he realizes that life isn’t formulaic. The story culminates with Jai realizing that every loss, sorrow, and burden that awaits him in the future is well worth living for just to be able to experience the true moments of happiness with the people you love the most. This is a story about living and cherishing everyday moments and not taking anything for granted.